A musical set in the 1920s Riviera should fizz and sparkle like the finest Champagne – and, for the most part, the Northampton Amateur Operatic Company’s production of Sandy Wilson’s “The Boyfriend” did just that. Launching almost immediately into the catchy title number, the show zipped along from one jaunty song to another, supporting the featherweight plot concerning poor little rich girl Polly and her friends and the Madame Dubonnet’s Finishing School – and, of course, their quest for that most indispensable of things, a boyfriend. Rachel Bond, in her first leading role as Polly, is an absolute delight with a lovely singing voice and her six “fwightfully posh” friends play their “jolly hockey-sticks” parts for all they are worth, even if does irritate a little by the end. Worth special mention are Rachel Hilton, as the flirtatious Maisie, and Eleanor Cox as good egg Dulcie, who shine in their respective side plots. Patricia Coleman and Lisa Simpson tackled their roles, as Madame Dubonnet and her canny maid Hortense respectively with aplomb, rising magnificently to the challenge of numerous songs with impeccable French accents. Director Martyn Knight puts together some neat choreography on numbers such as ‘Won’t You Charleston With Me’, and ‘The Riviera’, and the ensemble pieces were terrific. 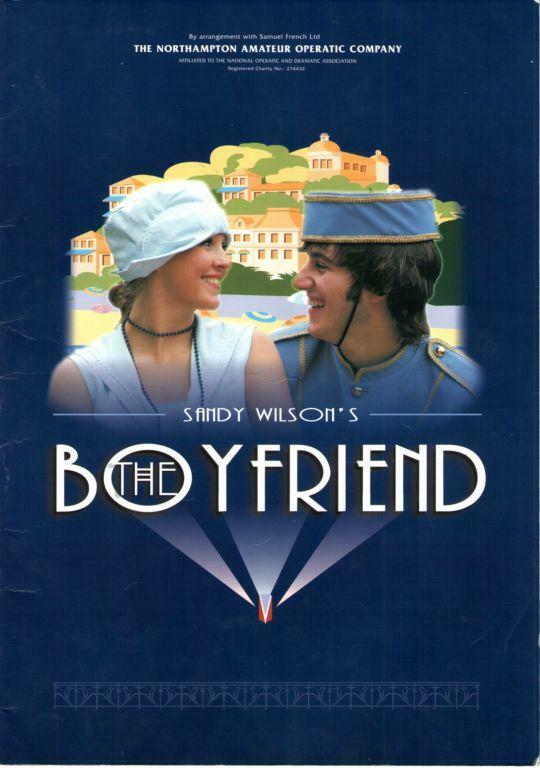 You can’t write a review of The Boyfriend without mentioning the man in question, and Alex Pritchett was clearly enjoying his first role with the company, playing delivery boy Tony with great likeability and charm. Two twenty minute intervals felt like purgatory in the hot theatre, and a couple of voices needed more power and fine tuning, but the costumes and sets were colourful and the matchmaking rushed to a conclusion with dizzying speed in the final scene, with the happy ending duly celebrated with rousing encores of the best tunes. The Boyfriend has an eminently hummable score, buckets of humour and excellent leads, which all adds up to a jolly good show.